Three people have been arrested after a man was stabbed in Kent. 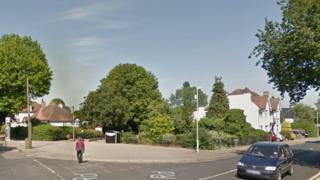 Police were called to reports of a serious assault in Station Chine in Herne Bay, Kent, just before 16:30 GMT on Friday. The man, in his 20s, was airlifted to a London hospital where his condition has been described as conscious and stable. A man, 51, and two boys, aged 17 and 16, were in custody awaiting interview, Kent Police said. Meanwhile, in a separate incident, a man, in his 20s, was airlifted to hospital from Tonbridge in Kent with injuries consistent with stab wounds. Kent Police was alerted to the second incident at about 06:00 GMT on Saturday.